Clare is a highly enthusiastic, conscientious graphic designer. With a love of all forms of art and design, Clare has always had a strong drive to create and to make ordinary things beautiful. Through education and experience, this passion has developed to use problem solving, research and a creative thought process to help clients to reach their project / brand objectives and goals. 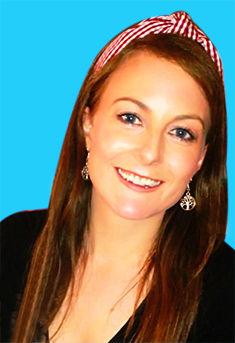 Clare graduated in 2005 with an Honours Degree, Bsc in Multimedia, from Dublin City University. Since then she has continued her post graduate studies in Illustration, Visual Arts Practice, Drawing Processes & Visual Research, Further Diploma in Art & Design, Design Research Level 9, Letterpress Printing & Typography, Web Design, Adobe Software up-skilling (Photoshop, Illustrator, Indesign), Artwork for Print, Creative D Program, Business Development for creative business owners, WordPress training, illustration and sales & marketing in institutions including NCAD, Griffith College, The Digital Hub, The Adrienne Geoghanne Illustration course, DPP Design Skillsnet, The Entrepreneurs Academy, Plato Creative D and Catherine Lawlor School of Art. More recently Clare has been a regular Guest Lecturer to Graphic Design Students at Bray College of Further Education (Graphic design tutor Shirley Brooks at BIFE had high praise for Clare’s lecture here) and had her art featured in the CEAD 2016 Exhibition (see more here), Halftone Dublin, Wonder Exhibition 2017, Incognito 2018 and the Catherine Lawlor Art Exhibition. Clare regularly attends design events such as Offset, Pecha Kucha,Semi-Permanent, Show and Tell and IDI Bread & Butter talks to observe current design and industry news and trends and continued inspiration.